Yin and Jahn? 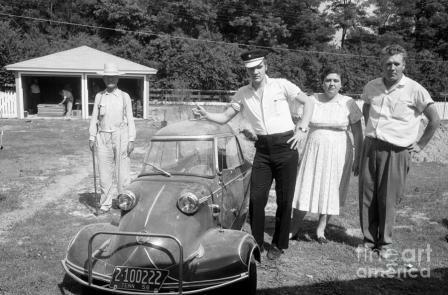 Elvis owned the catfish-shaped tandem two-seater at the same time as a full-blown Cadillac, and this wasn’t something he picked up while stationed in Germany with the army. He sold the bubble car in ’57 (or traded it for clothes, bizarrely) but didn’t get the buzz-cut and duffle bag until ’58.